So I have been setting my alarm for 5AM (!!!) switching the computer on and entering the 'winning moments' competitions. 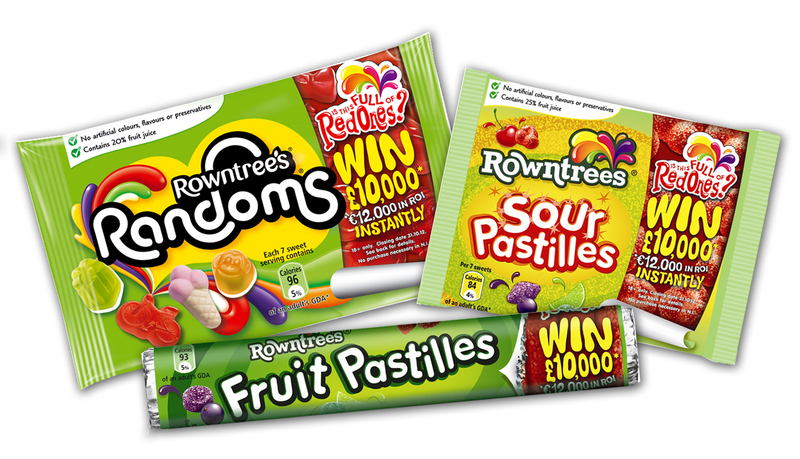 I'm totally addicted to rowntrees randoms and have won far too many packets!! But I have 6 entries so far to the grand prize draw. Also I while ago nestle had the promotional packs of cereal where they were giving away 1000's of prizes. These don't seem to be in the shops anymore for some reason and I had quite a few codes saved from that. I entered two each morning and Have won every time! When the promotion first started I had entered late at night and only won the free gym or swim pass that everyone won! SO I have managed to bag, 2 footballs, a cricket set, a book, an exercise mat and ball, 2 pedometers and a pamper voucher! I have entered sooooo many McDonald's vouchers into their cash competition but not had any luck. I have a feeling with this winning moment competition you have to hit the exact moment. So I don't think I buy McDonald's just for the competition. I have had old actimel codes and won a £5 car wash which I swapped for a £5 cheque, packs of mints on the trebor competition. It seems like you really can win lots of things in the winning moments competition, they might only be little but they certainly fed my addiction while not winning bigger things. It only takes about 20 mins once I have entered all my codes and i turn the computer off and go back to sleep!!! !